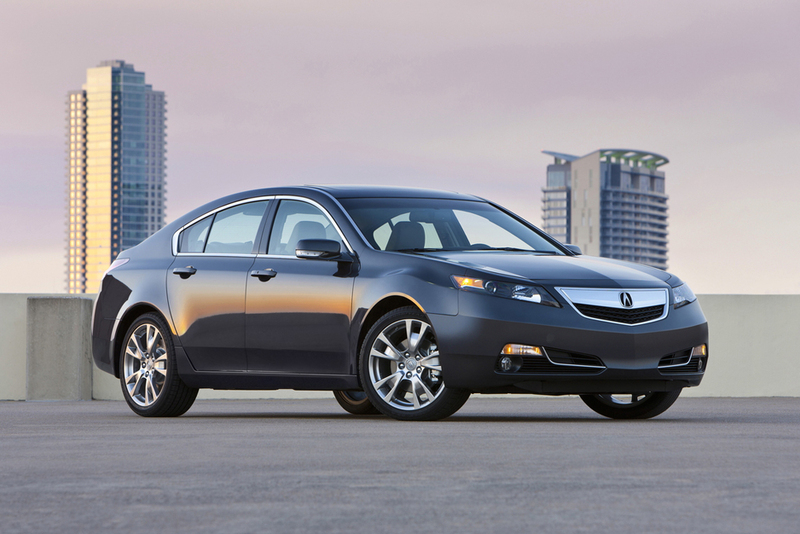 The 2013 Acura TL ranks 2 out of 20 Upscale Midsize Cars. This ranking is based on our analysis of 37 published reviews and test drives of the Acura TL, and our analysis of reliability and safety data. Although the 2013 Acura TL has polarizing exterior styling, reviewers say that its balanced performance and spacious, high-quality interior prove that you can’t judge a book by its cover. The 2013 Acura TL comes with a choice of two powertrains, and reviewers agree that regardless of which engine you choose, the TL provides plenty of power. A responsive six-speed automatic is standard, and most reviewers note that it’s well-matched to the 2013 TL’s V6. All-wheel drive and a larger, more powerful V6 come on the SH-AWD trim, which is available with a six-speed manual. The TL gets an EPA-estimated 20/29 mpg city/highway, which is less than the most fuel-efficient cars in the class. However, the Acura TL is also more powerful than fuel-efficient rivals like the Audi A4. The TL’s suspension isn’t comfort-tuned like the Lexus ES 350, but it’s also not as agile as rivals like the BMW 3-Series. As a result, most reviewers agree that the TL strikes a nice balance between sporty handling and a comfortable ride. While the TL may look like a bit of an ugly duckling, test drivers are impressed with its comfortable, spacious seats, numerous tech features and high-quality interior materials. The TL offers more standard equipment than a number of cars in the class, including leather upholstery, heated front seats and Bluetooth and USB connectivity. A handful of reviewers say that the TL’s optional navigation system isn’t the easiest to use, and that the TL could use more trunk space, but most auto writers say that if you’re shopping for a well-rounded upscale midsize car, the 2013 Acura TL is certainly worth considering.